NASHVILLE, TN — For the third consecutive year, the Nashville Symphony has selected local students for their third class of the Accelerando Music Education Initiative. 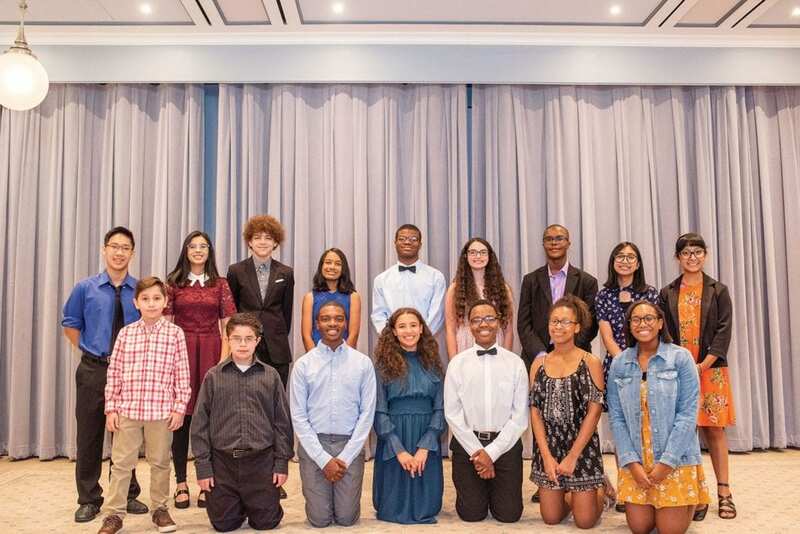 Seven local students have been selected for this groundbreaking music education program designed to facilitate the studies of gifted young musicians from diverse backgrounds and to prepare them for careers in music. The seven students were introduced during an event at Schermerhorn Symphony Center during earlier this month. The addition of the seven students brings the total number of participants in the program to 16. In addition to the studies and activities mentioned above, several Accelerando students will participate in other exiting events and performances including the annual Side-by-Side performance with New World Symphony in Miami, FL, a town hall masterclass with Michael Tilson Thomas, Music Director with the San Francisco Symphony, the Nashville Symphony Fashion Show, the Symphony Ball, and a performance at Nashville State Community College with Roy Wooten. Launched in 2016, in partnership with Vanderbilt’s Blair School of Music, Metro Nashville Public Schools, Conexión Américas and Choral Arts Link, Accelerando engages individual students over a multi-year period with extensive instruction, performance and learning opportunities and also offers students assistance with applying for collegiate music programs. The program places the Nashville Symphony at the vanguard of a national movement to create opportunities for young musicians from ethnic communities currently underrepresented in American orchestras. All services are provided free of charge. For parents and students who are interested in having their child apply for the next Accelerando program, Ms. McLemore gives valuable tips on what they should be doing now for preparation, which can be quite intense. “Students interested in applying for the Accelerando program should be on the lookout for the application period opening in October 2018. We will accept applications until February 15, 2019 and hear auditions in early March 2019. There will also be several community informational meetings scheduled in January and February 2019, for families interested in learning more about the program.